Southern California Whale Watching at its finest. Welcome to Channel Islands Whale Watching website, the gateway to the beautiful world famous Channel Islands, located in Oxnard, California. We offer year round fishing trips, whale watching excursions, and seafari island tours! 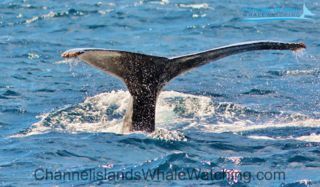 Channel Islands Whale Watching offers breathtaking excursions through the waters surrounding Channel Islands National Park and National Marine Sanctuary off the coast of Southern California. 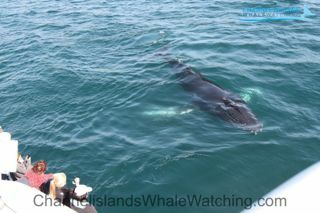 The Channel Islands region is a premier global destination for whale watching and marine wildlife sightings. Blue Whales, Humpback Whales, Orca (Killer Whales) Whales, Finback Whales and Gray Whales, are commonly observed in the pristine waters surrounding the park and sanctuary. Driven twice to the brink of extinction, the Pacific Gray Whale has made a remarkable recovery, earning the right to be known as one of the most resilient species on the planet. You will have the opportunity to understand how the migration is part of the species survival strategy and how this predictable journey nearly led to their extinction. During your 3 to 4 hour expedition, our naturalists will engage students in a program that covers their remarkable 12,000 mile voyage from Alaska to Baja and back.